Hand numbness is a temporary problem and it can be a symptom of injury or a chronic condition. Hands can become numb due to diabetes and nerve pinching caused by carpal tunnel syndrome and nerve palsy. It can be due to systemic diseases, Vitamin A deficiency, infections and autoimmune diseases.Hand numbness can be due to toxins and alcoholism. Some other causes of hand numbness are inherited disorders, injury, anxiety, migraine, stroke and multiple sclerosis. Home remedies are very useful in curing the problem of hand numbness. 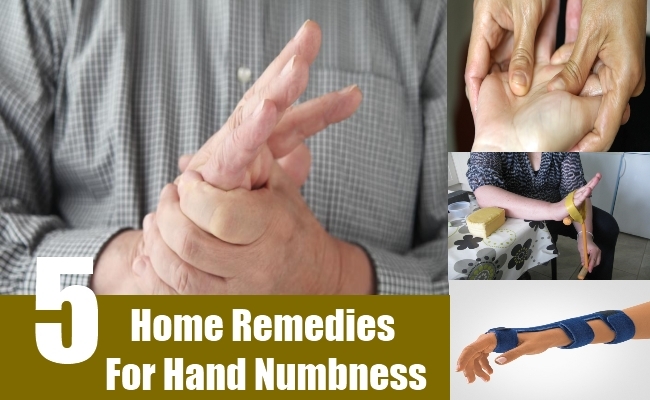 You must try the following home remedies for hand numbness. If you have numbness in the hands, you should stretch the hands, followed by a massage. This will help in increasing blood circulation in the hands. It will remove pressure on the nerves and decompress them. You should do stretching and massaging when you start to have the feeling of numbness. Do the massage gently. It will stimulate the nerves. You can get massage done by a trained professional. If your work involves lot of sitting and typing, you should make an effort to get up from the seat and get some movements by walking around a little. 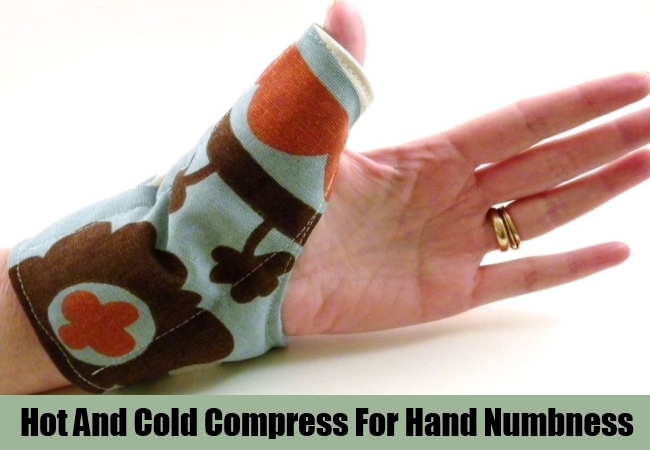 Hot compress can help in curing hand numbness. It increases blood circulation to the areas of the hands that have become numb. Therefore, you should apply a warm compress on the hands. It will help in relaxing the hand muscles as well as nerves. You can apply heat on the hands with the help of a heating pad. You can also use a bottle filled with hot water and apply it on the hands. You can dip a cloth in hot water and apply it on the hands. In case the numbness becomes worse, you should not apply the hot pack. In this situation, you should apply a cold pack on the hands, which will help in decreasing swelling and numbness. If you have hand numbness, you should do exercises. It will help in increasing blood circulation in the hands. You can choose any form of exercise. You can do hand exercises, walking and swimming. Do curls and stretches with arms and wrists. Exercise is the best way to solve the problem of hand numbness. When you have hand numbness, you must use splint. It will give support to the hands and keep it in a static position, which decreases pressure exerted on the hand nerves. Splint is very useful for people who have hand numbness due to carpal tunnel syndrome. Check the position of the computer and make necessary changes and adjustments to it so that your body is not under stress. One of the main causes of hand numbness is vitamin deficiency. You can prevent this situation by increasing the intake of Vitamin B and E. You can also take these vitamins in the form of supplements. You can get Vitamin B through foods like whole grains, lentils, beans, potato, turkey, tuna, banana, tempeh, liver and chili peppers. You c n get Vitamin E through foods like tofu, spinach, avocados, olive oil, almonds, broccoli, sunflower seeds, squash, pumpkin, shrimp and fish.